If you have suffered losses in variable annuities sold to you by Voya or Cetera subsidiaries such as Cetera Advisors, Cetera Financial Specialists, First Allied, Kestra Investment Services, FTB Advisors, Summit Brokerage and VSR, or if you were sold a variable annuity L-share, you may be entitled to recovery of your losses. Please call 1-866-817-0201 to speak to an attorney for a free consultation. L-share variable annuity is a complex investment product that combines insurance and securities that are designed for only short-term investors willing to pay higher fees for shorter surrender periods – periods where a surrender fee must be paid to sell. If you were sold such an investment product, please call the number above to speak to a private attorney for a free consultation. Though variable annuities already pay a heightened commission to the broker selling or recommending, these shares increased the commissions to an even higher level. Such high commissions can blind an adviser to the unsuitability of such investments. FINRA fined the eight firms a total of $6.2 million and ordered five of them them to pay another $6.3 million in restitution for failing to supervise the sales of variable annuities and L-shares. Restitution is to repay the investors. However, this will likely not reimburse investors for all losses. Depending on the facts of each investor, a private action may significantly supplement investor recovery. 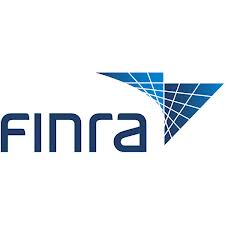 FINRA imposed sanctions against Voya Financial Advisors, five broker-dealer subsidiaries of Cetera Financial Group, Kestra Investment Services and FTB Advisors Inc., according to its action notice. 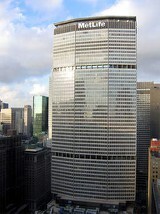 The firms entered into the settlement without admitting nor denying the charges. FINRA ordered Voya to pay its customers at least $1.8 million, while Cetera Financial Group’s subsidiaries, Cetera Advisors, First Allied, Summit Brokerage and VSR will collectively pay customers at least $4.5 million. “We are pleased that this matter has been resolved,” said a Voya spokesperson. “At Voya, we are committed to providing clear and comprehensive information to our clients – including details on fees, expenses and costs associated with their investments. We support transparency and candid disclosures and continually seek to enhance our policies and procedures on an on-going basis to better serve our customers.” The Cetera entities made similar statements. According to the notice, firms should have picked up on the “red flags” that this product could be potentially unsuitable for the customer. Information from this article from both Investmentnews.com and FINRA.org. This entry was posted in Uncategorized and tagged Annuity, attorney, California, Cetera, class action, Colorado, financial adviser, financial advisor, FINRA, First Allied, Florida, fraud, investment, Kestra, L-share, lawyer, New Mexico, securities fraud, stock broker, stockbroker, Summit Brokerage, Texas, UDF, variable annuity, Voya, VSR on November 2, 2016 by Jeff Pederson. If you have suffered losses in an annuity with MetLife we are interested in speaking to you irrespective of the type of annuity. Please call 303-300-5022 in Colorado or nationally 1-866-817-0201. It has come to our attention that many MetLife agents may participate in a pattern and practice of selling such annuities that are not properly vetted and outside the review of supervisors, a practice termed “selling away.” Such an action is commonly a form of fraud. Further Metlife has come under scrutiny from FINRA and has been ordered to pay $25 million, the largest fine the regulator has ever levied concerning annuity violations. State and federal securities laws prevent licensed securities brokers from participating in churning. Churning is an action that most associate with the sale of stocks, but happens any time a broker in effective control of an account causes the sale and purchase of an investment that puts the broker’s commission ahead of the investor’s interests. The Law Offices of Jeffrey Pederson has handled numerous annuity cases for investors nationwide. Call for a free consultation. This entry was posted in Uncategorized and tagged arbitration, Colorado, FINRA, Metlife, securities fraud, variable annuity on December 9, 2014 by Jeff Pederson.